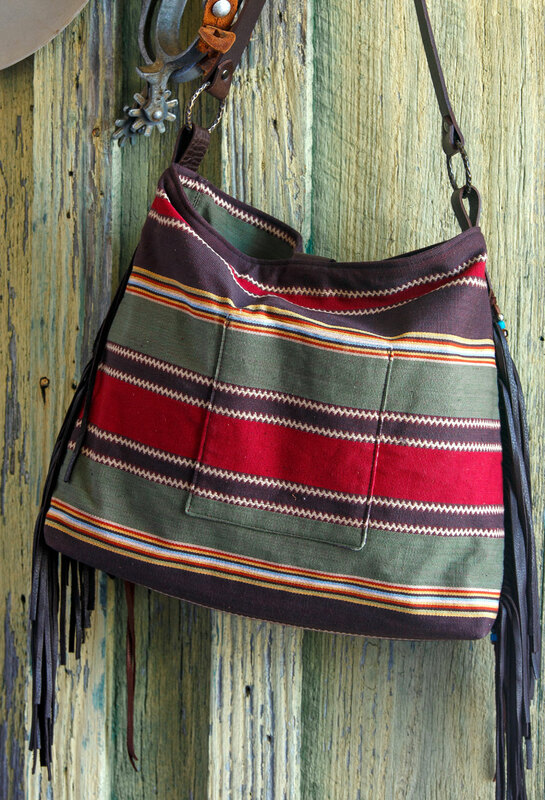 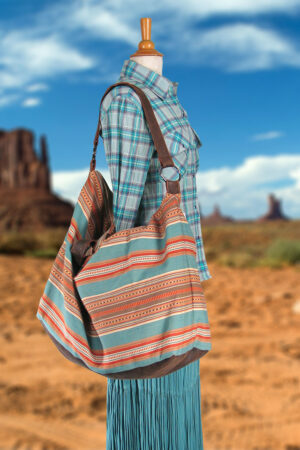 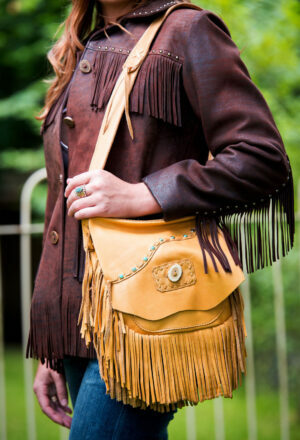 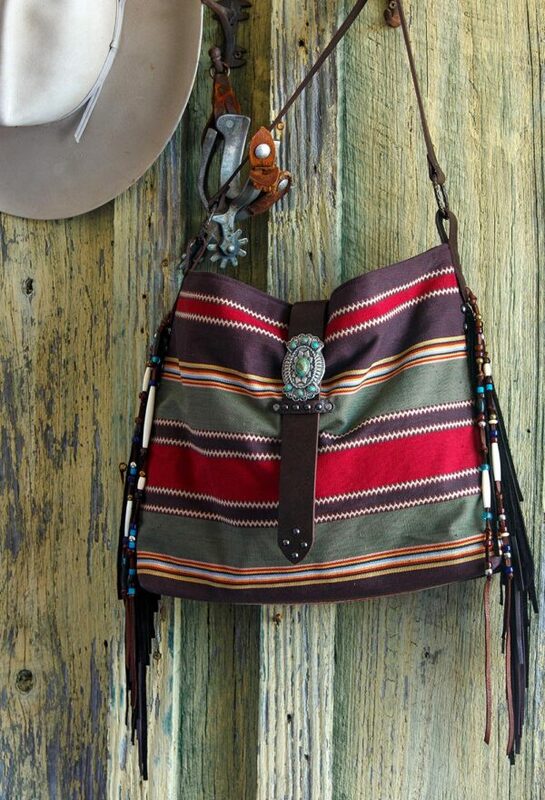 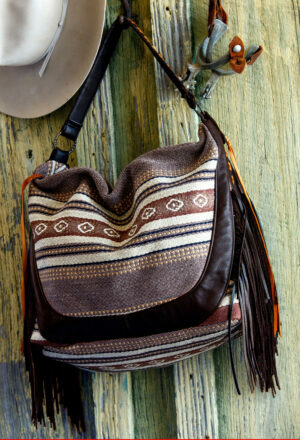 Red River Bag in rugged cotton serape, accented with beads & hare pipe bones in soft cowhide fringe. 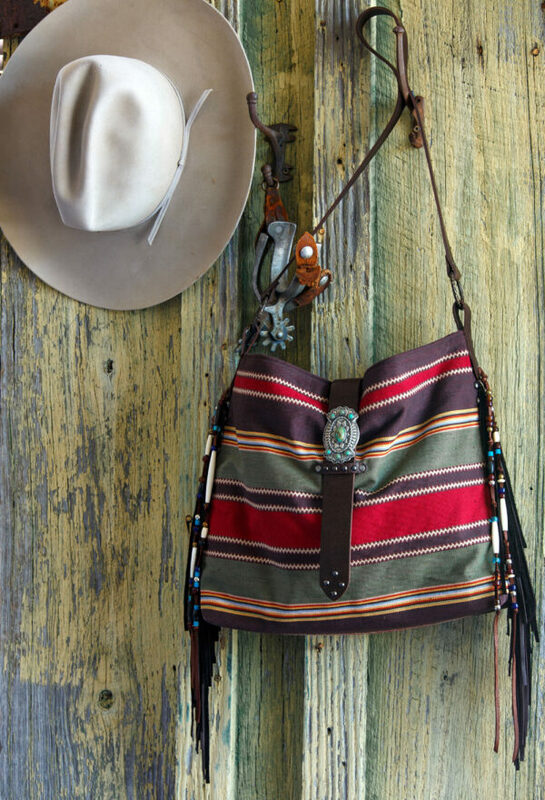 Concho and leather strap tucks neatly into a keeper studded with antiqued metal studs make attractive closure, secured with a magnetic snap. 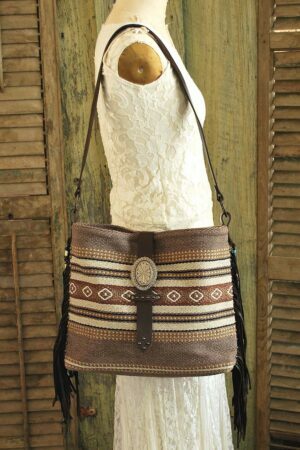 Cross body leather strap and fully lined. 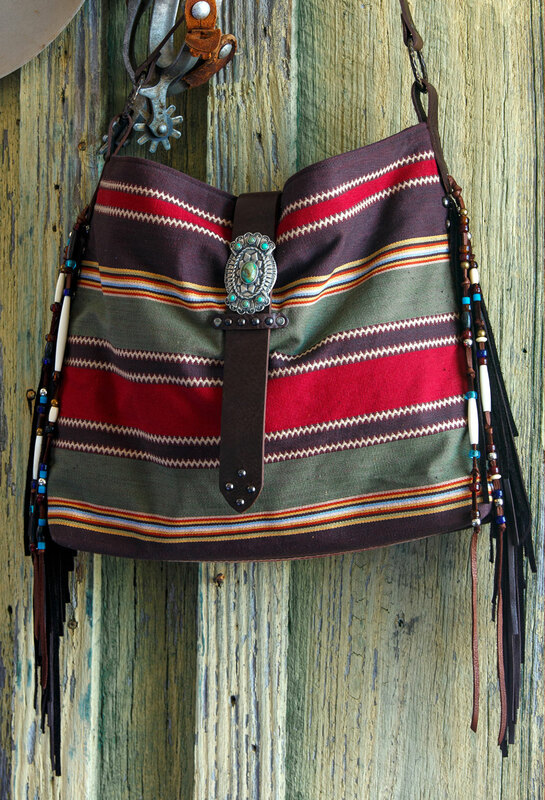 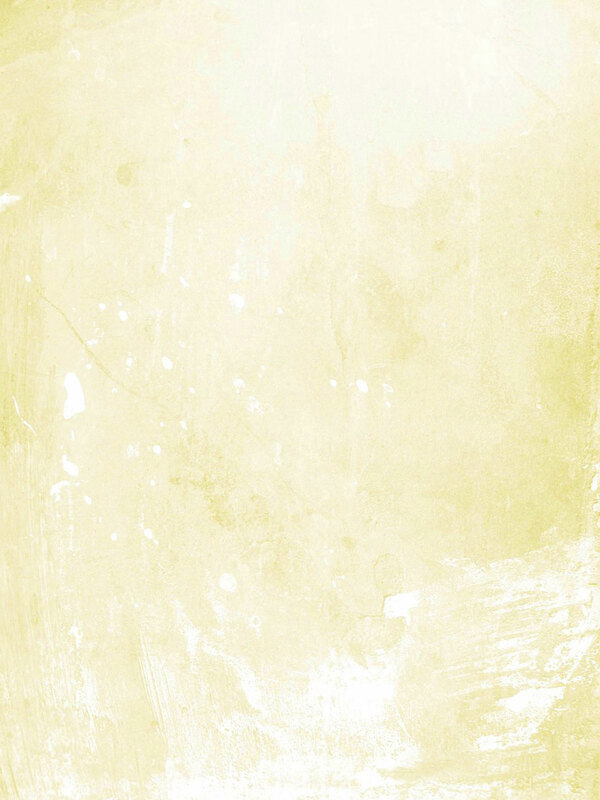 Measures 15″ W x 15″ H with 3″ bottom gusset.